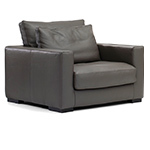 Miles Low features a metal frame with seat made of woven rubber belts and the base is covered in polyurethane foam. 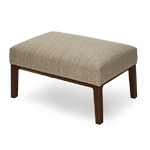 The seat cushion is standard with polyurethane foam, covered in dacron. 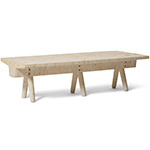 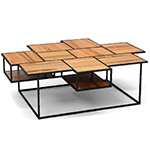 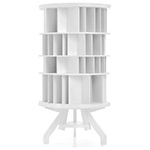 The legs can be specified in American walnut or anthracite. 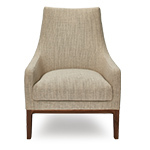 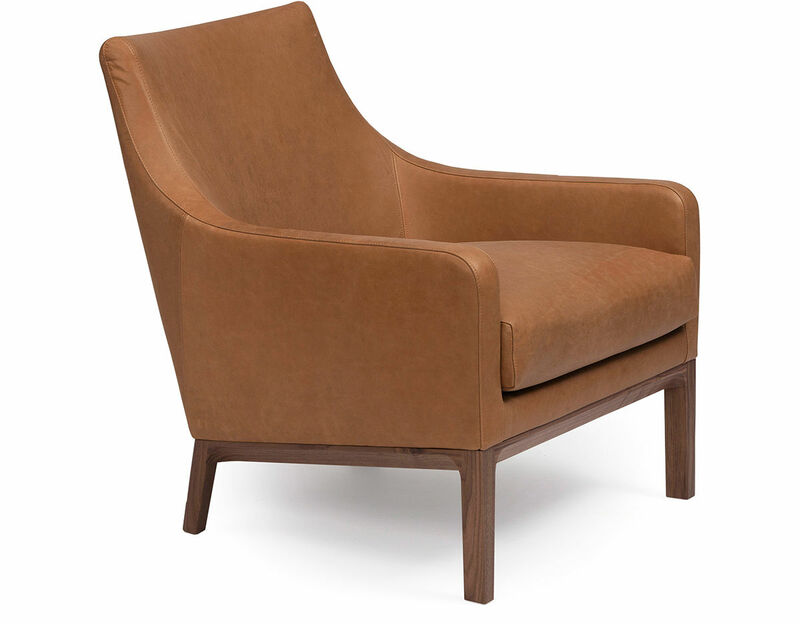 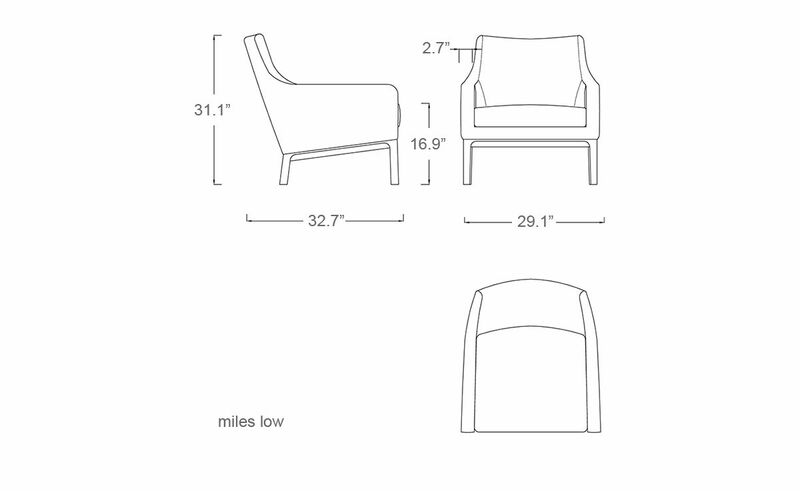 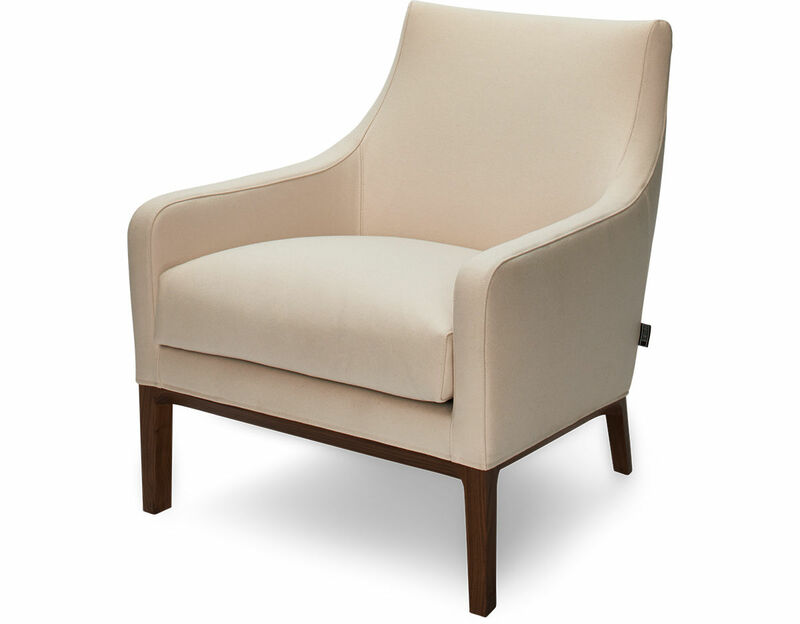 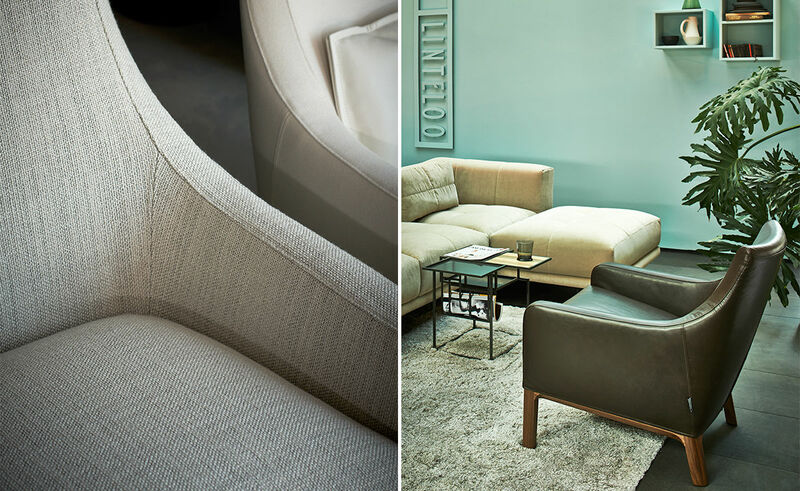 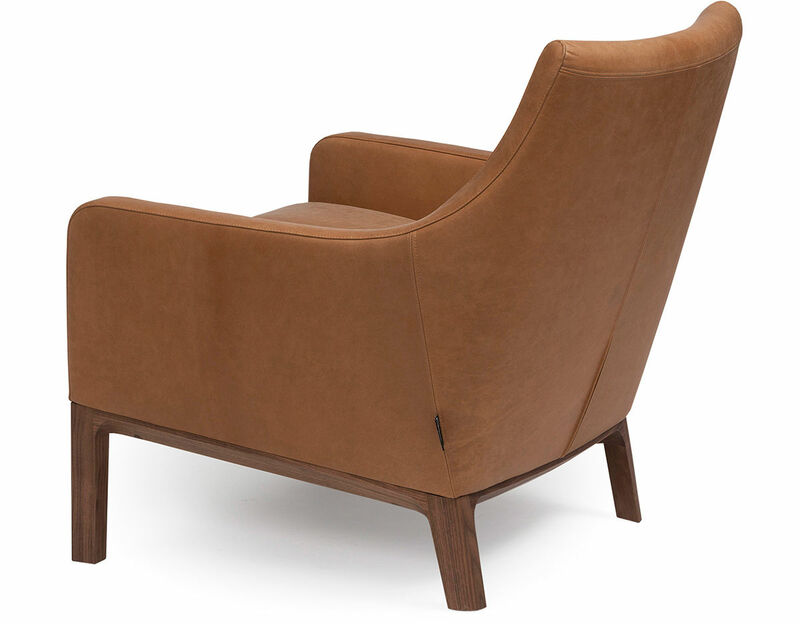 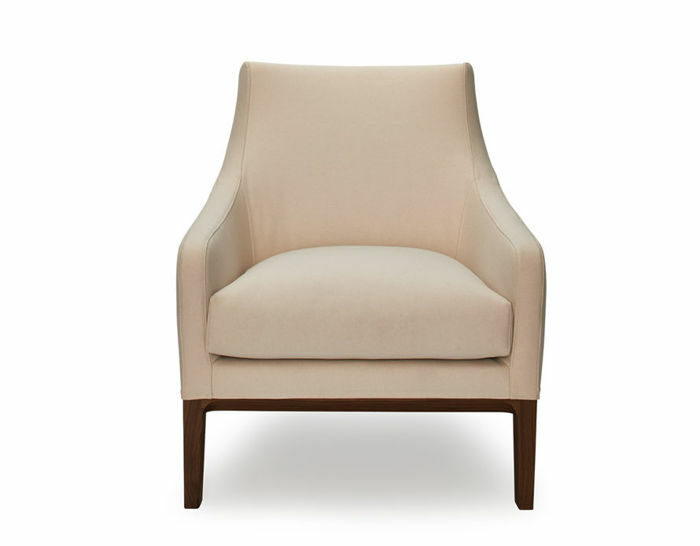 Upholstered in your choice of fabric (removable) or leather (not removable) upholstery. 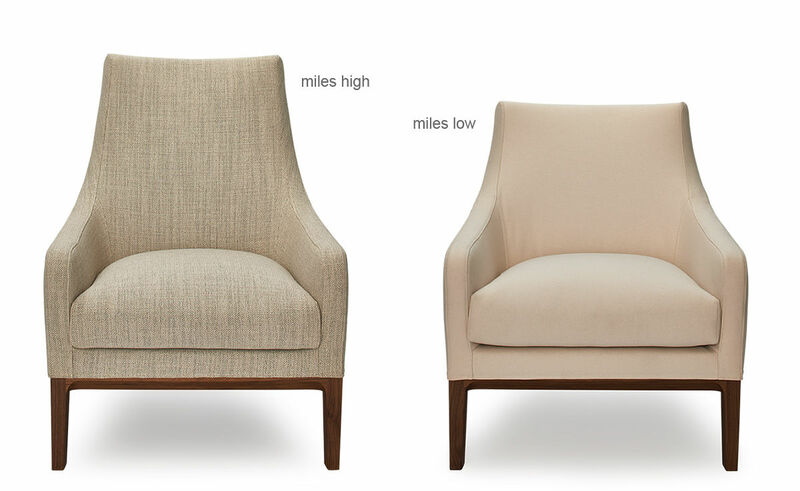 Also available as Miles High with a high back and Miles ottoman.